Forna cork floors are well adapted for use with in-floor radiant floor heating systems. We recommend our cork only be used with hydronic (water/gel) systems. Because electric radiant floor heating system is the most common retro-fit system available we realize the hydronic is not the only “kid on the block”. If electric radiant floor heating system is used, we require the system be sunk in the appropriate amount of cement (see manufacturer’s specifications. This protects against the ever present danger of fire due to electric shorts as well as to over-heating. Electric systems are prone to excessive heat and must be used with extreme care when working with flammable products such as wood or cork. What Type of Floor to Install? We recommend the use of floating floors when installing over radiant floor heating systems. In some instances glue down cork tiles can be used over hydronic heating systems sunk in cement. The adhesive used with our cork is temperature sensitive and can melt should the concrete become too warm. Hydronic systems have less chance of overheating which makes it the only system glue down tiles can be used with. Is there a Maximum Temperature? 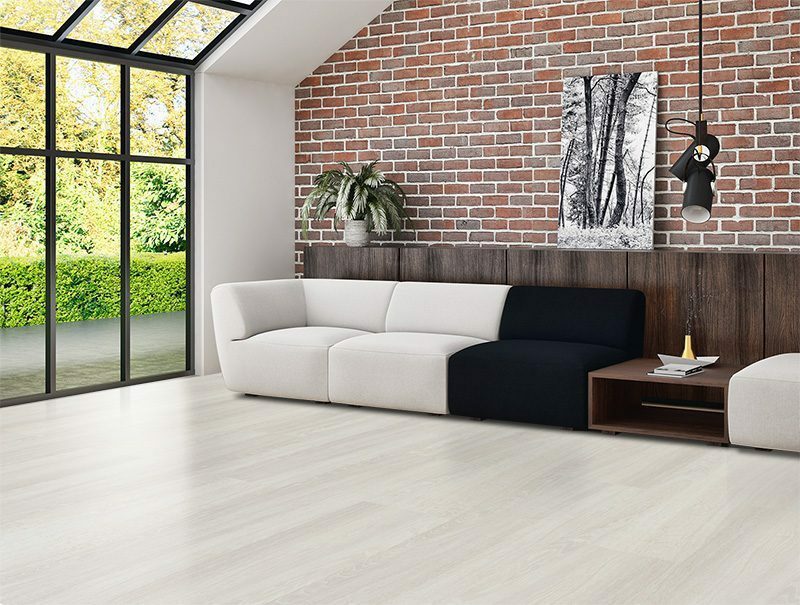 Cork flooring should never be subjected to radiant in-floor heating that is warmer than 28 degrees Celsius (85 Fahrenheit). Cork floating floors are installed as per normal installation procedures. The concrete holding the radiant system will need to be brought to room temperature 10 days prior to installation. Bringing the slab to room temperature also allows the concrete to dry out prior to the cork flooring being installed. Like any flooring installation, moisture levels in the concrete must be at or below regular installation requirements. While the concrete is being brought to temperature, the cork can be acclimating with it at the same time. The cork can be allowed to acclimate with the concrete for 48 – 72 hours prior to installation. The heating system can be set to room temperature (18 – 24 degrees Celsius; 65 – 75 degrees Fahrenheit) during this time. The cartons of flooring should be opened and propped up against the wall for the acclimatization period. The heating system should remain on and functional during the installation period. It is normal to have the slab reduced to the lower range during installation as working conditions become too warm with physical activity. Please be aware that most systems set in concrete must have temperatures adjusted slowly. Changes in temperature should not exceed 5 Celsius (9 Fahrenheit) per 24 hour period. Large changes in temperature and humidity can and will affect the performance and appearance of your cork floor.